New! Boating and Barbecues are two things that Bostonians do best! Put them together on this 2-hour cruise through Boston Harbor. Bring some friends and grab a few seasonal beers from the bar! 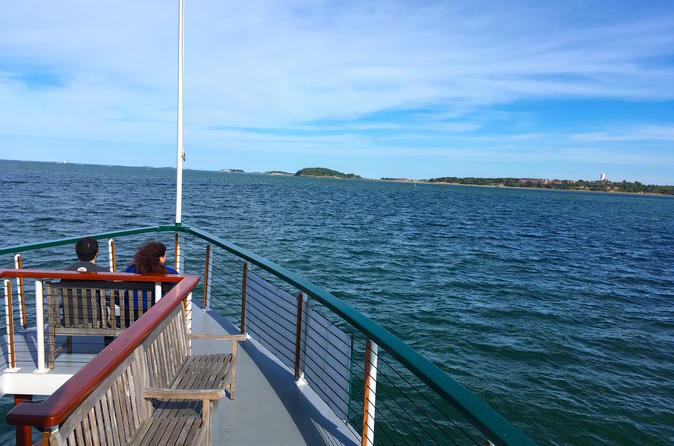 While on this cruise the captain will point out some of the notable sites on the harbor islands that have played an integral role in fortifying Boston in every war from the Revolutionary War until the World War II. For lunch, a gourmet barbecue consists of delicious smoked chicken and honey glazed BBQ ribs, coleslaw, biscuits, and roasted potatoes is included with each ticket. This cruise is excellent for families, friends exploring the town, and folks looking for a unique adventure. Please note in your reservation to provide information on any food allergies. Not all food allergy accommodations can be made, but the chef will consider all requests given advance notice.